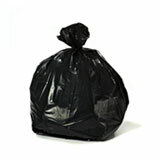 These are great bags for anyone who needs a bit more space than your average kitchen garbage bag. 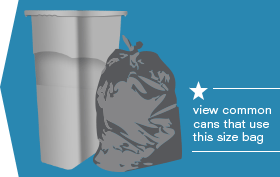 Once you get into the 20 gallon trash bag to 30 gallon size, you’ve got some room to spare. 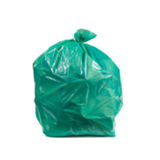 These large garbage bags are popular for a variety of uses inside and out, and we have plenty to choose from to make sure you’ll always have the right bag for the job. 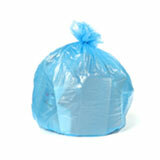 Our 20-30 Gallon Bag collection offers many bags that usually work well in the cans below. 25 Gal Eco-Friendly, 1.7 Mil Equiv. 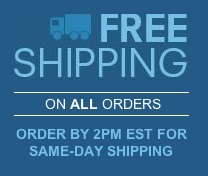 Picking the right 20 to 30 gallon bag for your needs is easy when you have a large selection. 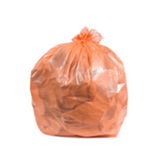 You can decide whether you want a bag made from high density plastic (thick and puncture resistant for dealing with potential sharp objects) or low density plastic (economical and strong, leak-resistant and good for wet garbage or large volumes of paper trash) and select how heavy-duty you need your bag to be (the higher the mil or micron number, the heavier the bag!) 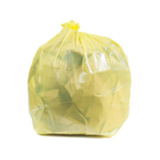 In this size category we have economy and eco-friendly options, clear trash bags, black, green and white garbage bags, and even blue recycling trash bags to help you sort your waste. 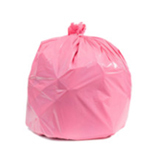 Getting your bulk waste basket liners and wholesale garbage bags from Plastic Place is a smart move for any home or business owner who wants to trim the budget without cutting corners. 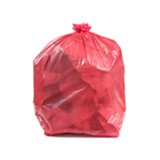 We bring you better garbage bags than you’ll find anywhere else at better prices than you’ll get from anyone else, and the more you buy, the more you save (just a little thank you from us). 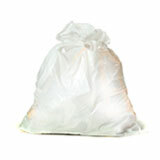 On top of that, all of our bulk trash bags are covered by our 100% satisfaction guarantee. 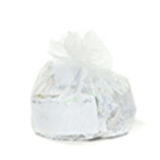 If you need guidance before you order, or have questions or concerns after your bags arrive, our experts are always ready and willing to talk you through finding the ideal waste can liners to ensure that you feel happy and confident every step of the way.